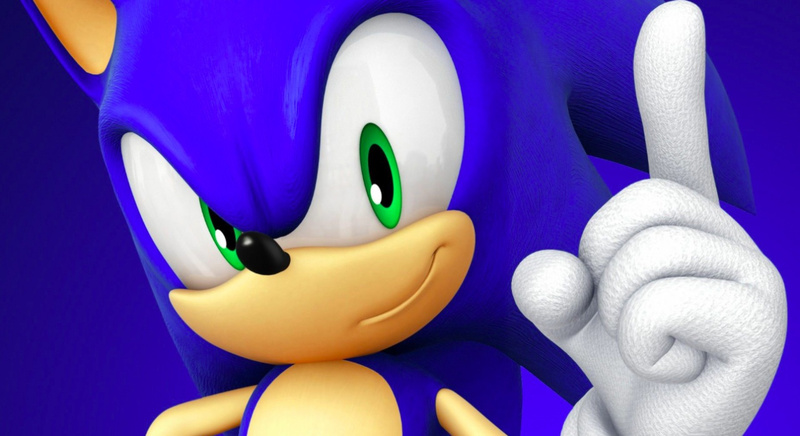 It was only a few weeks ago SEGA was celebrating Sonic's birthday in Tokyo at a live steam event and soon it will be revealing even more surprises regarding the blue blur's upcoming plans at a panel at this year's Comic-Con. Scheduled for 19th July between the hours of 2:00 - 3:00 pm, the 'Sonic the Hedgehog's Way Past Cool Panel' will touch on a range of topics including his latest comic outing. The head of Sonic team, Takashi Iizuka, will also be present to discuss Sonic's future video game outings, and even make some surprise announcements alongside SEGA's licensing specialist, Micahel Cisneros. Sonic The Hedgehog has raced back into comics, bringing old enemies and new friends along for the ride. 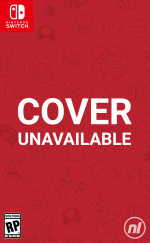 IDW editors Joe Hughes and David Mariotte, artist Evan Stanley, Sega licensing specialist Michael Cisneros, director of product development Austin Keys, and head of Sonic team Takashi Iizuka discuss comics and upcoming games, make some surprise announcements, and more! What do you think these surprise announcements could possibly be? Tell us in the comments. I know they're not going to announce that they're making a good game. They're probably going to announced that they are bringing Sonic back to his roots again just like the many other times they celebrated his birthdays. How’s it going to be a surprise if they’ve announced that they’re announcing a surprise? Let me guess, talking about that crappy sonic racing game that won't be as good as all-stars. Sonic Boom 2: The Return of the Ramps That Can Be Used As Ramps, for the Nintendo Switch. Sonic Mania ++, now with even more obscure characters! @Kimyonaakuma you kidding me? We all know Big the cat is going to be the next character in the plus ultra edition. Followed by Vector, the other most demanded character ever. "Sonic Team: nonstop disappointment since 2006." No, guys. It’s not Sonic Adventure 3. I’m PRAYING for Sonic Adventure 1+2 release on PS4, XBO and Switch, or for those games to be introduced into the Sega Forever line and made free. What else would be cool? Sonic Mania 2 or like... another game in the style of Mania. Let me guess... Burning Rangers Remastered. A new Sonic comic? I don’t think Archie make Sonic comics anymore. Not sure, it’s been years since I read them. Probably a Sonic Universe equivalent of the IDW series. @shonenjump86 Archie dropped the IP well over a year ago. IDW has since picked it up for a different comic that's been going on for about four months now. It's going to be an announcement of an announcement. I've seen this before. @Seacliff oh, I might have to check em out. How about that Sega Genesis Collection PS4 and XBO got recently? I'd love to have that, Sega. Look man, all I want is the Archie series back on Comixology so I don't have a seventy issue gap in my collection. Nothing Phantasy Star related for the U.S.
Why do i have a hunch there's going to be a Sonic/Transformers IDW Comic Series planned? 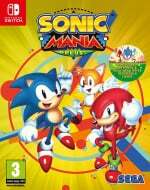 Have ordered Sonic Mania + but never bothered with Sonic Forces. The whole game just looked and felt wrong to me but I'd be interested in a new release if they can keep to the spirit of Sonic. Hopefully more info on IDWs Sonic board game (Crash Course) coming in Sept.
@ThanosReXXX Um.....that never applies to Sonic. @Popplio Before they even consider a SA3, I think SA1+2 need the Crash Bandicoot remake treatment. As they are, both games have not aged so great. True, those of us that grew up with them back in the day can play them no problem, but I think for future audiences the games need remakes to really iron out the flaws like glitches, the sound design, and that lip syncing. etc. Maybe more DLC for Sonic Forces? Wouldn't mind SEGA adding free Mighty/Ray costume sets to cross-promote Sonic Mania Plus, plus bring back the Shadow costume set. @RyanSilberman You DO realize I was being sarcastic, I hope? Coming from Sonic Team, nothing, really. I couldn’t care less about the “modern” franchise after Forces fiasco. A remaster of Sonic 3 & Knuckles or... the first good Sonic 3D game since Sonic Generations... But we all know that the surprise is going to be that they are aware of the disappointment and they are going back to zero with the next game that will be the best Sonic game ever, which is what they always say. We are happy to announce several new titles today that we are sure will make our long time fans happy. Currently in development we have Streets of Rage 4,Outrun Coast to Coast 2,Golden Axe - Death Adder Strikes Again and lastly but not least Shinobi Chronicles - Joe Musashi Strikes Back. All 4 titles are planned for release this year and will be coming to PS4/Xbox One/Steam/Windows/Oculus Rift. For Nintendo Switch we would like to announce the Megadrive classic Flicky will be joining the SEGA Ages line up. Please look forward to more details later this year. @ThanosReXXX I would if it didn't read so straight. That they've re-opened the Phantasy Star Online Ep.1 & 2 servers again... and are offering a client for the Switch??? re-release the first 2 parts again with it's conclusion as a graphic novel. Release date for that Sonic racing game please. I for one don't want SA3 cause i know if they did it only ruin it lol. In other words it won't be nowhere near as good as SA2. I think there's only one thing any of us want - Sonic Mania 2, with 100% original stages. Hopefully Sonic Adventure 1 and 2 for Switch's SEGA AGES lineup. @ramu-chan No, just a better balance between new and old. I guess it will be a new Sonic game, but there isn't anything retro-related that would make me happy, actually. A 16-bit Sonic compilation? Again? And again without Sonic 3 because for some reason this game never ends up in compilations? No, thanks. Yeah it's going to be Mania 2. They aren't going to let the success of the first game end with it. Predictable but definitely welcome. Its gonna be some carp no one asked for. "Sega All Stars Present: Big the Cat Bass Fishing". Sonic Mania Plus Ultra. New characters are Cream and Cheese. Special Edition comes with an actual package of Sonic themed blue cream cheese. @Alikan more like since 2005 with Shadow the Hedgehog. Although, even in all seriousness it isn't that far from the truth: Sega's efforts on the Switch have been rather underwhelming, to say the least, whether that's Sonic or anything else. I'm just waiting for them to announce Labo support for Big's Big Fishing Adventure 3. Sega @ comic con: Shadow will be playable as a Echo fighter! In smash. That's all for comic con have a nice day! -sega- left the building. Sonic Mania Plus comes out tomorrow and it's not good. It's great! A new Sonic game based on the upcoming Sonic movie. It's going to be awesome because you know how good games based on movies turn out to be. Plus it's Sonic. Is it too much to dream for a return of Sonic the Comic?!? Bring us PSO2 on the Switch. Or... sonic Adventure Battle 3!!! 1-2 remastered would be cool to.